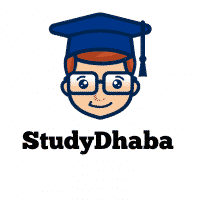 Details of syllabus as provided by UPSC is as below : This paper will include questions to test the candidates’ attitude and approach to issues relating to integrity, probity in public life and his problem solving approach to various issues and conflicts faced by him in dealing with society. dimensions of ethics; ethics in private and public relationships. Human Values – lessons from the lives and teachings of great leaders, reformers and administrators; role of family, society and educational institutions in inculcating values. Concepts, and their utilities and application in administration and governance. Concept of public service; Philosophical basis of governance and probity; Information sharing and transparency in government, Right to Information, Codes of Ethics, Codes of Conduct, Citizen’s Charters, Work culture, Quality of service delivery, Utilization of public funds, challenges of corruption.